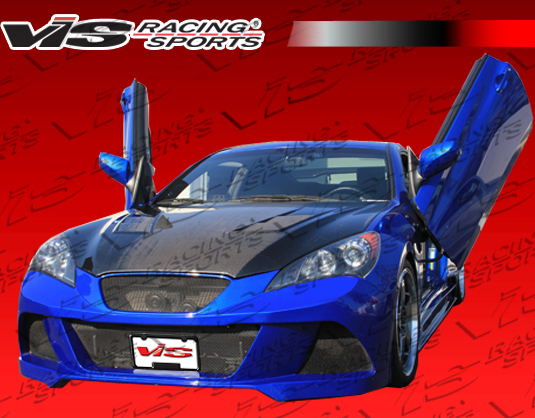 The VIS JPC bodykit for the 2010 Genesis Coupe brings unique, aggressive styling at an economical price. Available parts: replacement front bumper, sideskirts, and rear bumper. (All parts available separately). Made of fiberglass and attach to the OEM mounting points.